Belgium's 'Famine 12-12' campaign in recent months collected €9.52 million in donations for South Sudan, Yemen, Nigeria and Somalia, announced deputy prime minister and minister of development cooperation Alexander De Croo in De Standaard. The federal government promised to double the amount, bringing the total sum to €19.04 million. The money goes to non-governmental organisations (NGOs) that provide urgent humanitarian relief in the four countries concerned. The NGOs include the Red Cross, Caritas International, Handicap International, Doctors of the World, Oxfam Solidarity, Plan Belgium and UNICEF Belgium. 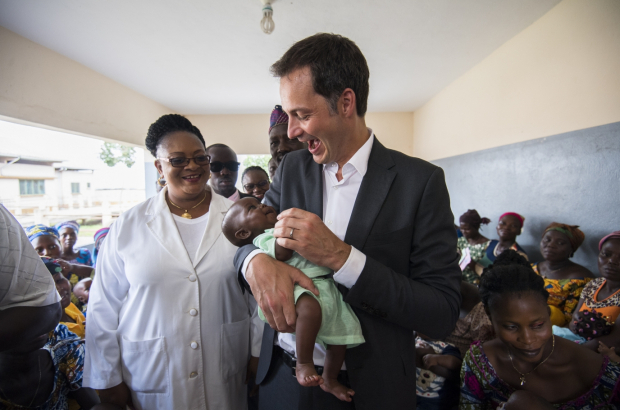 The aid organisations “do everything possible to help the affected populations, including the distribution of food and drinking water, health care and the improvement of hygiene,” says De Croo (pictured). Next month, De Croo will pay a visit to the humanitarian operations in South Sudan, after attending the UN solidarity summit for refugees in Uganda.